Suzuki is showing its vision for an aerodynamic city car at the 2011 Tokyo auto show: the regally named Regina. It's pitched as a radical 'next-generation global compact car', which sounds suspiciously as if it could have production intent. The new Suzuki Regina is all about minimalism: it weighs just 730kg, so it only requires a small capacity petrol engine, which brings emissions down to 70g/km and appetite for unleaded at a rate of 90mpg. That fared-in design contributes to what Suzuki claims are class-leading aero figures. The rear wheels are partially covered for smoother air cleaving, although we wonder about that bluff front. The Japanese claim it's 10% more aero-efficient than today's Suzukis. It's not just the Regina at Tokyo. 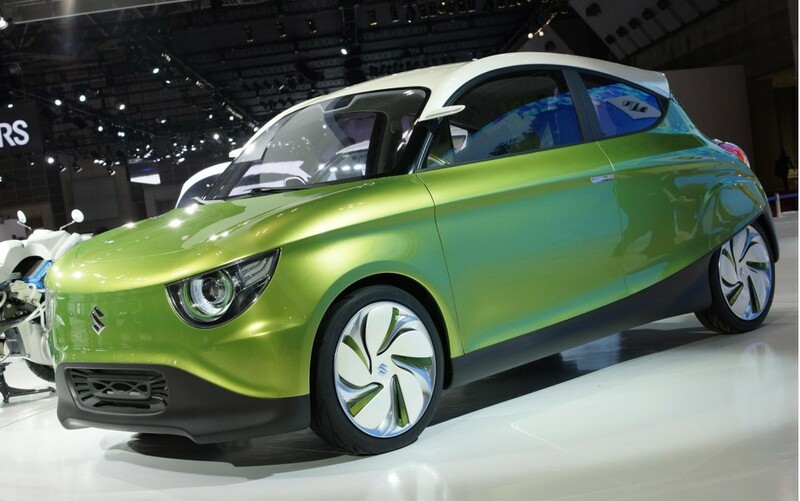 Suzuki will also show the Q-concept, a two-seat city car that's somewhere between a bike and a car. A bit like a Twizy, then. It's just 2.5m long and seats two in a tandem bike position. Suzuki claims this is an electric car with a range of around six miles. Cleverly, Suzuki says the cabin can be reconfigurable. So parents could spec two childseats in the back instead of a single adult pew, or it could be set up as an urban delivery van with a cargo bay out the back. It's not all wacky concept cars at Tokyo. The Swift EV Hybrid is an experimental electric Swift with an on-board generator. Suzuki says this hybrid Swift could easily achieve the typical 20-mile commute of most Japanese journeys on electric power alone without any help from the petrol generator.